Ben “Rise and Shine” Weissenstein started a business before he started school and he wants to help others do the same. We found Ben 15 years after The Houston Chronicle snapped a photo of him and his lemonade stand. In those 15 years, he has started two successful companies and has been featured on Fox News, Dr. Phil, and Entrepreneur Magazine. 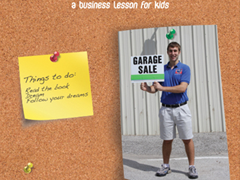 Now he’s 20 years old and he owns the highest ranking garage sale business in the world (according to Google). Ben also just added “Author” to his already eclectic entrepreneurial career. Today, I finally got a hold of Ben to talk with him about why he thinks young people need to read his book. When Stanley Tang was an 11-year-old growing up in Hong Kong, his school banned snack foods. Instead of taking his empty stomach in stride, Stanley bought snacks at the local convenient store and sold them to his classmates for three times the price. A few years later, he was introduced to Google Adsense and the ‘Rich Dad, Poor Dad’ series of books by Robert Kiyosaki. They inspired him to get online with his business and to develop a book called ‘eMillions: Behind-The-Scenes Stories of 14 Successful Internet Millionaires’. When ‘eMillions’ was published in December of 2008, it rocketed straight to the top of the Amazon Best-Seller lists. At just 14 years old, Stanley was the world’s youngest best-selling author. 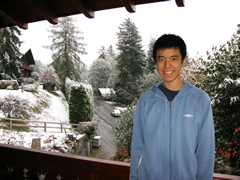 Since, he has been making six figures with his blogs, StanleyTang.com and TheUniversityKid.com, which he eventually sold to another young entrepreneur. Stanley also just graduated high school in May of 2010 and he will be attending Stanford University in the fall, where he plans to study computer science. Keith J. Davis Jr. grew up watching his father sell watches, clothing and anything else he could get his hands on. Following his dad’s footsteps, ten-year-old Keith ventured to a wholesale market, where he bought a dozen hats at a few bucks a pop. He sold them all back for about $10 in profit each. Instead of being satisfied with his success, Keith kept selling: at school, he sold everything from Yu-Gi-Oh cards to magnetic earrings to bubble gum. Today, Keith is 19 and he’s gone from his middle school’s ‘bubble gum man’ to a college freshman at the University of Houston and an entrepreneur of all trades. He somehow finds time to be a nationally known public speaker, actor, model, newspaper publisher, and author. His newspaper, Fyt Ya (renaming to Idealist Magazine), and his book, Young? 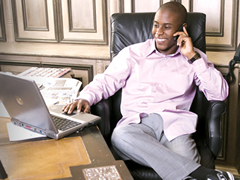 So What!, are both aimed towards empowering young people to become successful entrepreneurs. I recently had the pleasure of conducting an interview with a #1 Best-selling author, Robert Pagliarini (pal-yuh-ree-nee). This guy is awesome. He’s old (37), but he’s awesome! Robert has been all over the major news organizations (i.e. Good Morning America, Dr. Phil, 20/20, etc.). And there’s no reason I should’ve been able to talk to him other than the fact that he is passionate about sharing his advice with young entrepreneurs. 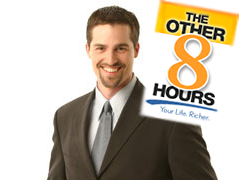 On January 5th, Robert published his latest book, The Other 8 Hours, and this interview is focused on how you can use your other eight hours to live a richer life.